I ordered this dress. Its fabric is very classy and the way it fits my body is very beautiful. this is my third dress that i ordered from this website and i am absolutely impressed by the fact that the dresses are from very high quality and the prices are not too high! The dresses are very beautiful and classy, from now on i will always check this website before ordering a prom dress! Thank you! Great! Very good prices (we caught the sale prices) and professional, timely delivery (very important). We received exactly what we ordered and had ample time to make alterations to the dress as needed. Dress is beautiful and stylish with a super, affordable price. Thank you for the option of adorable but affordable (sale prices)! Seriously love the dress, it's beautiful and perfect in every way. 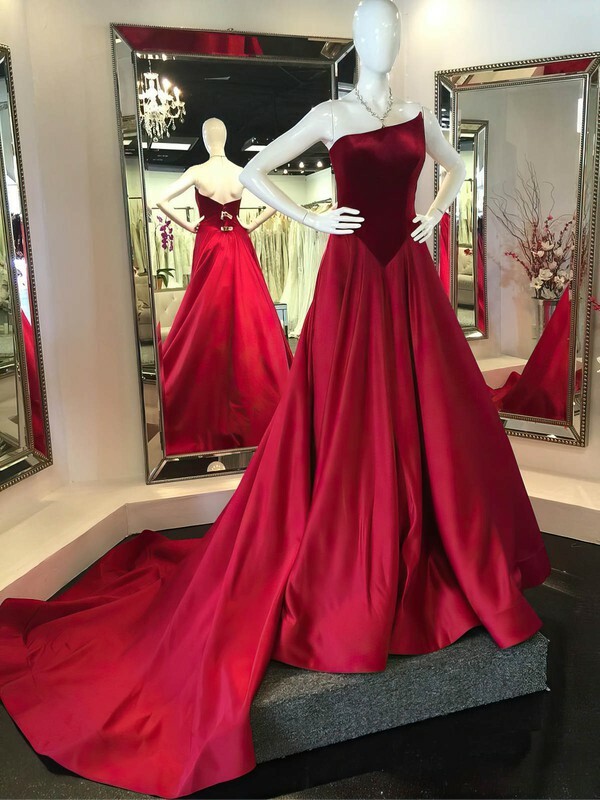 When I first ordered the gown I was very skeptical about the site, I've never trusted any site that I knew nothing of, but had no choice because I need it asap and had no time to go shopping. The gown came on time and the gown fit perfect. Can't complain especially with the compliments with the fit. I'll give it 5 Stars for EXCELLENT and will recommend it to every and anyone including my haters .